Expect fine services and premium hospitality at Meraki Inn. 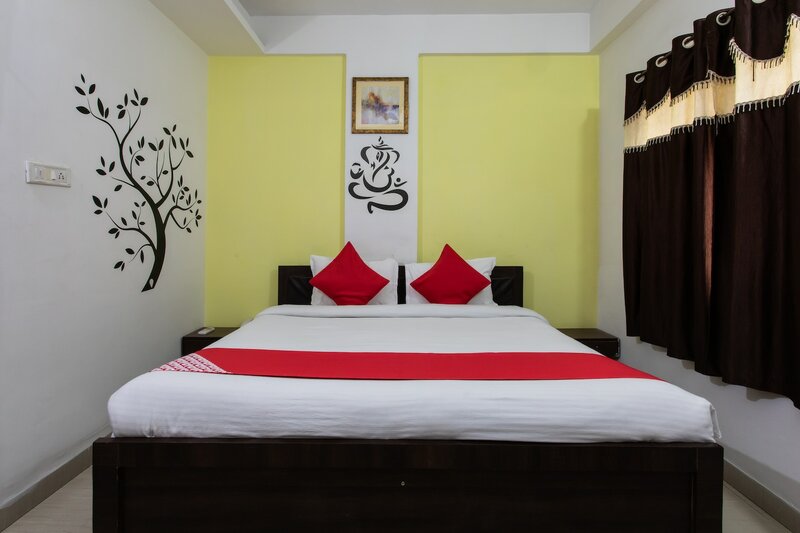 The well-furnished and spacious rooms with provided basic amenities ensure a relaxing and pleasant stay of the guests. The walls are painted in warm and bright colours with artistic paintings adorning them. The decals add to the charm of the space. The seating area is also a well-furnished space where guests can relax and unwind. Power backup and CCTV cameras ensure security of the guests. Guests dont need t worry about their pending work as hotel also offers free Wi-Fi service to stay connected. Facilities like hair dryer and mini fridge are also offered by the hotel for convenience of the guests.